This is the first addon on our site that adds new things while the original items remain the same. Perhaps the development of addons will reach a level when modifications become useless or not much different, but it will not be soon, while we offer you to download a small MCPE addon with new things. Added new blocks, list below. New types of villagers. Look for them in villages as before, each villager has a specific name and sells only a limited list of goods. Basically, here are the building blocks for the decoration of structures. 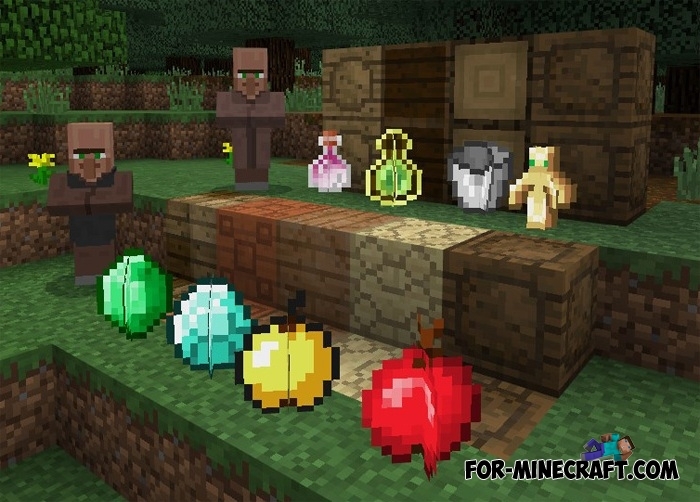 The rest of the items are just enlarged copies of existing gemstones, potions and apples, but they look good on tables, shelves or window sills. 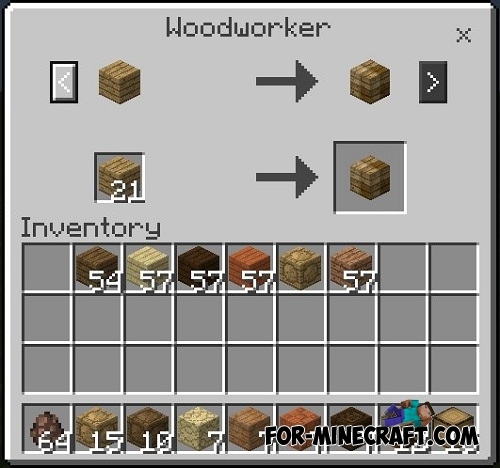 How to get the blocks? You have two ways to get new things: talk to new villagers who are engaged in trade. 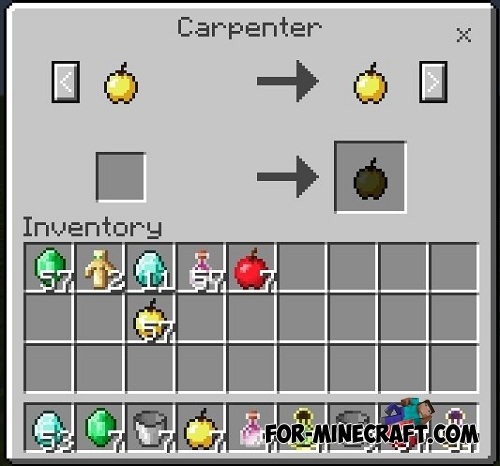 They will give you new blocks or items in exchange for what they need. This is a perfectly normal way to survive, you just need to find a village and collect the necessary resources. The second way is the console commands. Type / give @p [name] to instantly receive the item in your inventory. Commands require the option to be activated in your world settings.